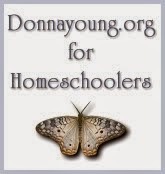 Donna Young Printables & Resources - If you haven’t discovered Donna Young’s site yet, you’re in for a treat. You’d be hard pressed not to find a form to fill your needs! Be sure to check out the Excel Weekly Planner (requires Microsoft Excel) and Excel Grades & Attendance (also requires Microsoft Excel).